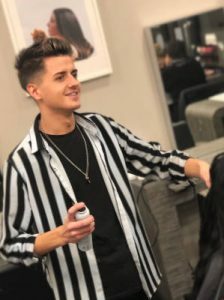 Toby is one of our advanced stylists in the salon and his up-to-date knowledge of fashion gives him inspiration for a great end result. One of Toby’s strengths is his glamour blow drying which he attended GHD training for. Toby is also fully trained in Zen tape extensions which not only add length but volume and thickness too.